Barefoot with Champagne: Are you watching the Bachelor? 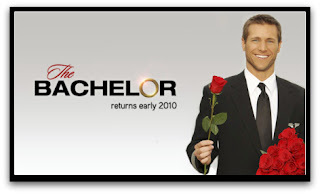 Every season I say I'm not watching the Bachelor this time... and what happens every time? I get sucked in and start watching it. Oh and what else happens? I decide to have a favorite who inevitably never gets picked, and then guess what? After the taping is over, they always break up. Ok so let's talk about the crazy girls that they have on there this season. Michelle says, "I'm just the nice girl that everyone hates", umm sweetheart, we hate you for a reason - you're insane! And I got so into it that I started searching for spoilers! If you're like me and can't wait to know the outcome check out RealitySteve for all the seasons spoilers. Keep bringing the drama, Bachelor, and sucking me back in again! Rah Rah Rah Rah Rah Rah!!! Pretty Drive Home From Crested Butte!